This circular attaches an NJC Joint Circular giving a progress report on the review of term time working agreed as part of the 2016-18 pay settlement. 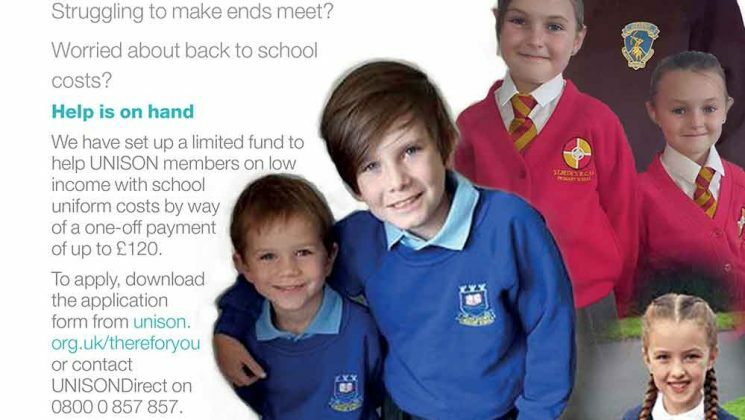 As we move into summer, the new school year starts to loom, and with it, worries over the cost of new school uniforms – but UNISON can help. Thanks to all those that attended our Coffee/Cake event on Wednesday, it was good to see so many members and non-members coming along to see what UNISON is about and what we can offer. 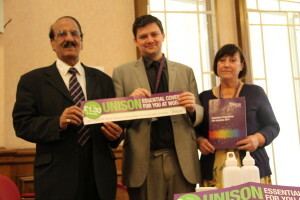 Cllr Khan, Leader – “Thank you for asking me to attend the event. Although much of the media would have us believe that the outcome of the general election on Thursday 8 June is a foregone conclusion, there is much to play for. Get involved now – with UNISON members, your colleagues, friends and family. Please see attached a copy of the latest ‘In Touch’ activists’ bulletin. This includes food for thought and issues you can raise in the next four weeks in conversations with members. UNISON will be producing advice on campaigning amongst our own members and urging activists and members to get involved in local campaigns. 2018 – 19 NJC Pay Claim – We want to hear your views! The UNISON NJC (National Joint Council) Committee, made up of elected UNISON representatives, met on Thursday 27th April to discuss the contents of the draft pay claim for 2018/19. A 5% increase on all NJC pay points and deletion of NJC pay points 6-9.